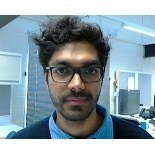 Jay Agrawal is the Lead Architect for the Kudos suite of solutions for IBM Connections. His focus is technical direction, architecture design and implementation management for his team and their products. He is currently working on ensuring Kudos Boards, a social task management tool, is ready to evolve alongside IBM Connections as it goes pink. Before this, he worked as the co-lead for WebSphere based Kudos solutions for IBM Connections On-premise, namely Kudos Badges, Analytics and Boards.